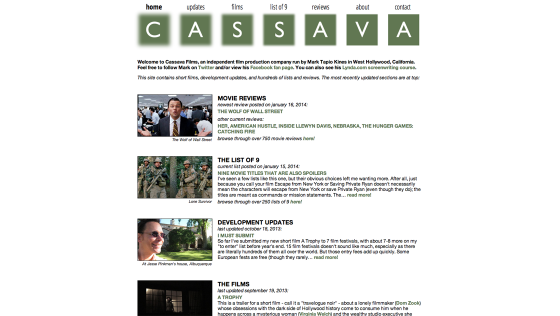 The Cassava Films website was a decade old and consisted of hundreds of flat HTML files. While the site’s owner, Mark Tapio Kines, did a terrific job of keeping the content itself up to date, it was time-consuming and labor-intensive to add and manage the site’s contents. 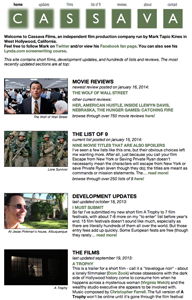 Mark re-designed the site and we built out a fully custom WordPress theme to meet his needs. 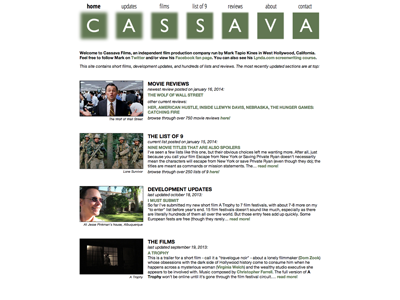 We also made reading the site’s excellent content on a variety of devices easy by making the site fully responsive. 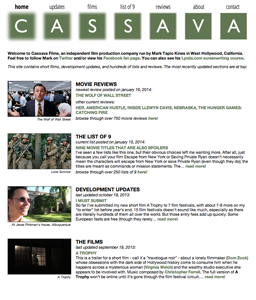 Additionally, the site is now easy to maintain and update. Natalie was so easy to worth with. She’s incredibly knowledgable about the latest technology, but she made everything easy for me to understand and use. It’s not often when perfectionism and friendly, dependable service go hand-in-hand, but you get it all with Natalie.